Is there a deed so strange or unexpected that Norman Reedus wouldn’t do it to himself or someone else? I’m guessing no, and the odds go even more in the positive direction once that deed becomes an entry into a prank war with the actor’s Walking Dead co-star Andrew Lincoln. 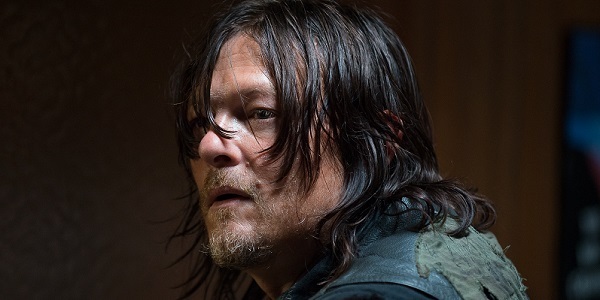 Reedus appeared on The Late Late Show with James Corden and explained how Lincoln’s slow revenge for an earlier prank led to something even more outlandish. And then he said he was going to get me back, and he’s trying to plot - he’s really bad at it, to be honest. But the last day of shooting for this last season, he walked into his trailer and I’d filled it full of chickens. Let’s be real. Every story that everyone tells needs to end in something as ear-catching as “I’d filled it full of chickens.” There are so many situations where that would work out perfectly. Mostly just prank stories. I would have to hope that Andrew Lincoln wasn’t keeping all kinds of important documents and other keepsakes around his trailer, as chickens are not known for their stellar housekeeping. What a strange feeling that must have been to walk up to the trailer, possibly hearing mysterious chicken-ish noises coming from within but holding back from believing that they could be live chickens, and then opening the door to a bunch of feathered felonious friends. Almost as shocking as seeing a new dude come out of nowhere in the post-apocalypse. That’s a dope prank in that Reedus could have sent Lincoln a series of notes saying that he was definitely going to be pranking him soon, and there’s no feasible way He Who is Rick Grimes could figure out that it would involve chickens in his trailer. And it all started when Reedus secretly attached an airbrushed Daryl Dixon license plate to Lincoln’s car, which went unnoticed for months. And then instead of allowing time for a comeback, Reedus struck again. That’s how you survive, man…in a world where pranks are currency. Norman Reedus has been doing the talk show circuit, bringing out one good moment after another. Check him out describing a bit more about the chicken prank. The Late Late Show with James Corden airs weeknights on CBS. The Walking Dead airs Sunday nights on AMC. And you can probably catch a couple of chickens following Andrew Lincoln around if you look hard enough.